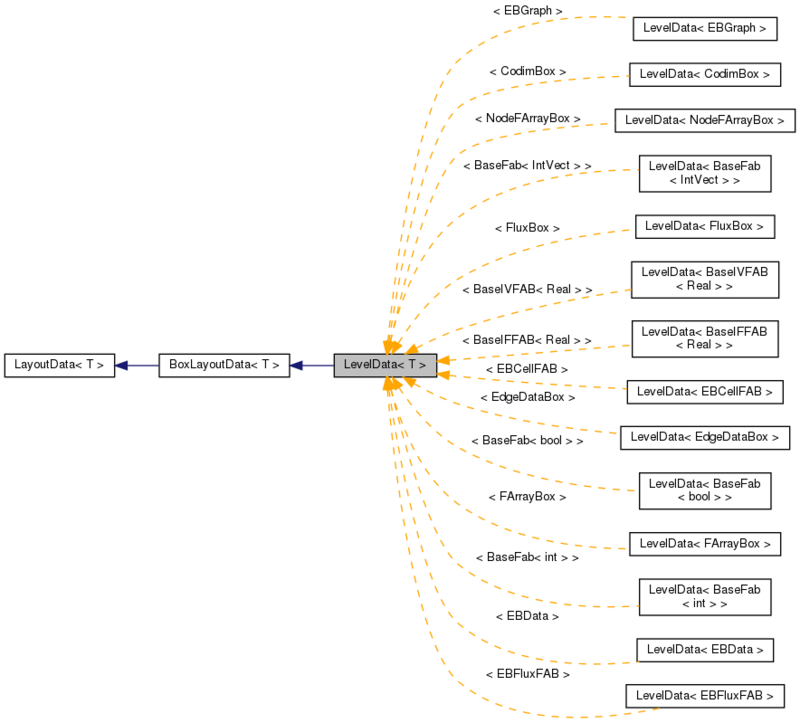 Referenced by aliasLevelData(), blockRead(), PetscSolver< T >::computeResidual(), LevelDataOps< T >::create(), PetscSolver< T >::create_mat_vec(), PetscSolverFAB< LevelData< FArrayBox > >::defineData(), LevelData< T >::degenerate(), BaseLevelHeatSolver< LevelData< FArrayBox >, FluxBox, LevelFluxRegister >::incrementFlux(), and read(). Referenced by aliasLevelData(), blockWrite(), LevelData< T >::copyTo(), LevelDataOps< T >::create(), PetscSolverFAB< LevelData< FArrayBox > >::defineData(), MergeSolver< T >::solve(), and write(). Referenced by aliasLevelData(), LevelDataOps< T >::create(), PetscSolverFAB< LevelData< FArrayBox > >::defineData(), ViscousTensorOp::diagonalScale(), ViscousTensorOp::divideByIdentityCoef(), LevelDataOps< T >::dotProduct(), BCFunction::fillGhostCells(), LevelDataOps< T >::incr(), LevelDataOps< T >::mDotProduct(), and MergeSolver< T >::solve().